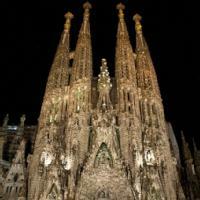 In this list are ranked the most common surnames in the spanish province of Barcelona. The data has been gathered from the National Institute of Statistics of Spain. Contrary to what happens in other occidental countries (i.e. USA) people in Spain bear two surnames; the first surname was traditionally the father's first surname, and the second the mother's first surname; although this order may now be reversed. Only the first surname of the people born in the province has been taken into account in composing this ranking.